This module will give users and management better visibility of squawks and facilitate management in getting squawks resolved. Users have access to squawk information online. They can enter or view squawks for the aircraft they are authorized to schedule. Squawk entry has the option for an image to be included. 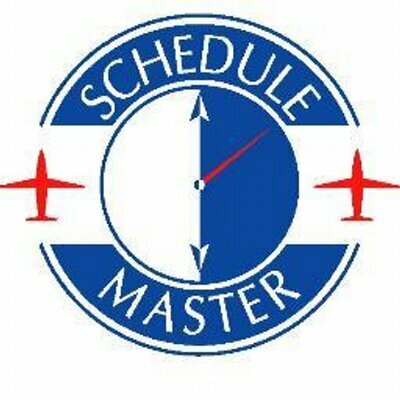 Automatic maintenance schedule booking for critical squawks. Managers are notified via email of urgent squawks or all squawks. If authorized, general users can request to be notified of new squawks, urgent squawks, or completed squawks. Squawk information is included in preflight screen, which has aircraft/boat status, pilot status, and instructor status. Maintenance status is indicated on schedule by colored hazard symbol (see yellow triangle in image below). Clicking on the symbol gives additional details as seen in the following image. Management has a summary and detailed view of squawks. The summary view is shown below. Clicking on the squawk title will give additional details. Clicking on the associated image will give a larger view of the image. By default squawks submitted at the highest severity level will generate an immediate 48 hour maintenance schedule and management notification. The automatic maintenance schedule or the notification can be turned off. Or, the number of hours for the maintenance schedule can be customized. This module can be configured so that squawks require approval before general users can view them. The default setup does not require approvals. The maintenance user for Squawks can be specified. If this is not specified, the maintenance user with the lowest ID number will be used. Note: Only 1 squawk maintenance user can be specified. This is not customizable by plane. Only sysops or authorized users can close or approve (if applicable) squawks. Specific Squawk module authorizations can be set up on the Resource Info | Squawks page. Note: This module is available at our standard level of service.